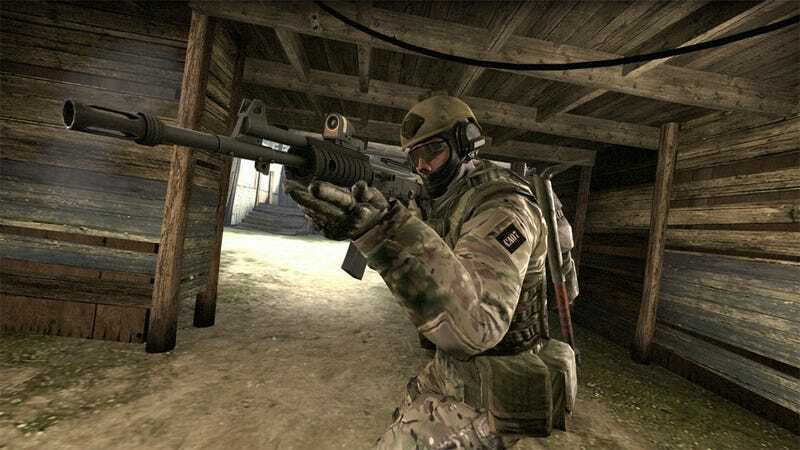 Counter-Strike: Global Offensive is Valve's retooling of the classic team-based first-person shooter Counter-Strike. Today, Valve revealed that the game will include "Arsenal Mode", which is based on the popular Counter-Strike: Source mod "Gun Game". Valve is working with the Gun Game creators to create Arsenal Mode. "We are excited that Valve reached out and is working with us to ensure Arsenal Mode is the best version of Gun Game", Michael Barr project lead of Gun Game said in an official release. "Arsenal: Arms Race" and "Arsenal: Demolition" will add eight new maps to classic Counter-Strike team play. In August, Kotaku spent an hour with Counter-Strike: GO. Check out the coverage if you missed it. I&apos;ve played Counter-Strike: Global Offensive and can now say it&apos;s for me, too. Counter-Strike: Global Offensive will be out early next year.